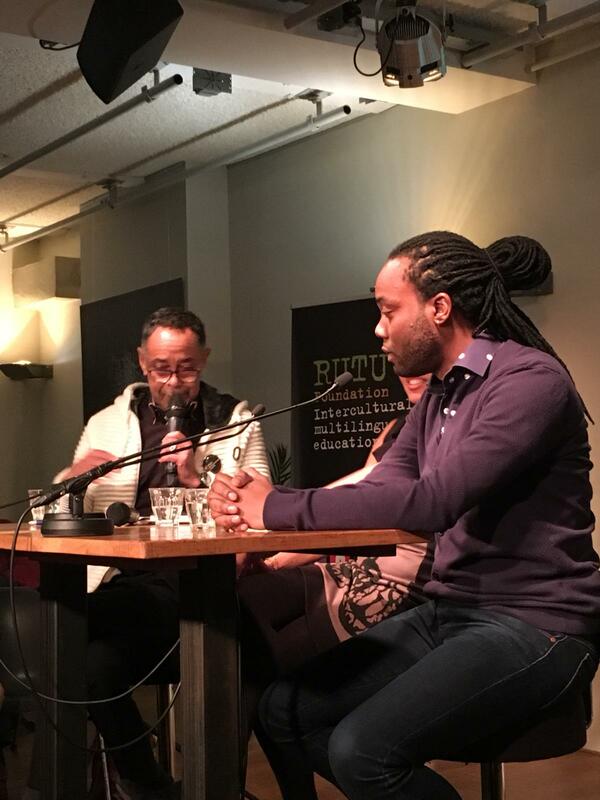 Tuesday, 30 October 2018 – We gathered with experts, researchers, professionals and many multilinguals at Pakhuis de Zwijger in Amsterdam. 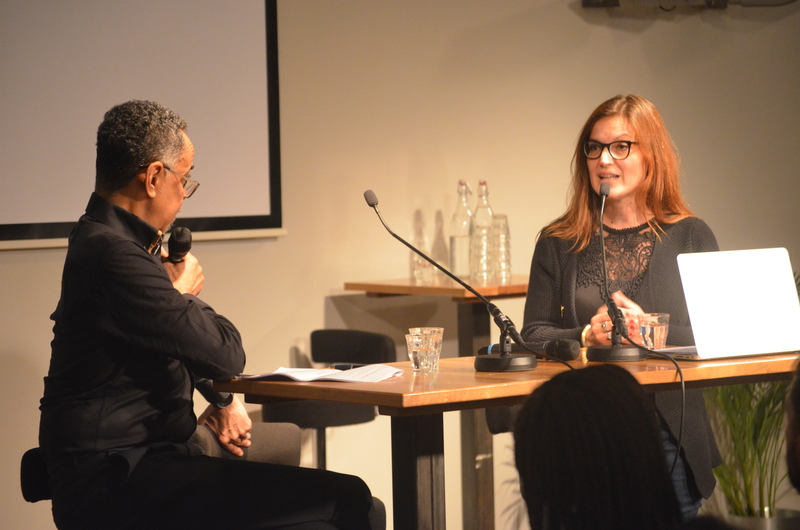 It was the second evening in a series on Education Inequality and Multilingual Education organised by the Rutu Foundation, Multilingual Parents Amsterdam and Rethink Amsterdam. The evening focused on emotions, on the well being and the future of a new generation growing up. The energy and willingness to learn and act was contagious in the room. 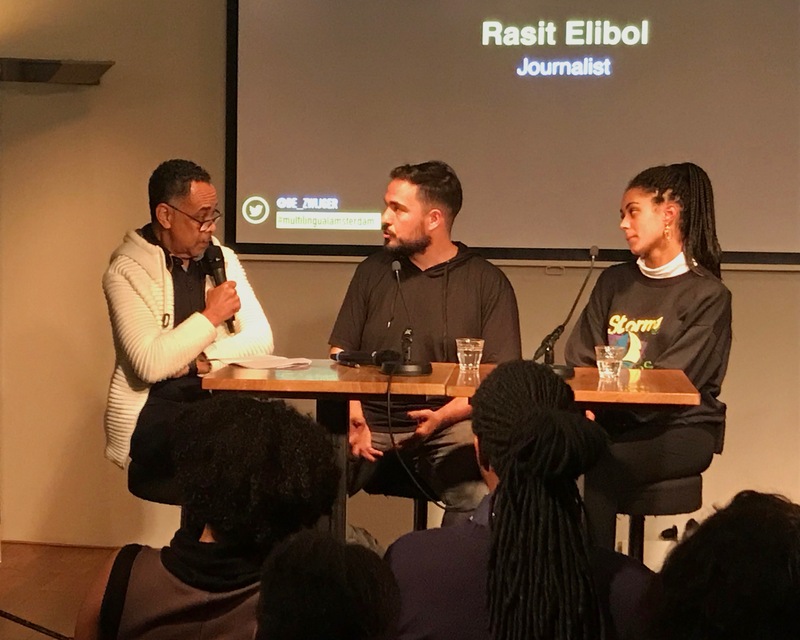 At one point the evening seemed to take on the character of a group therapy session, led by moderator Glenn Helberg, the well known Dutch psychiatrist with Caribbean roots. So what was the pain felt by the speakers and many in the audience? That our languages, our dialects, even our accents are silenced, are not allowed to be heard, or to be spoken in or near the school, let alone to be used for learning inside the classroom. Even when we know that multilingual learning has benefits for all kids. The speakers shared their wisdom, their experience, their doubts and their struggles and the audience could feel it. We were literally asked to touch the part of the body where we felt it: some pointed at their belly, others felt it in their throat, their head, their jaws…. Teachers have one thing in common (most of them anyway): the care, dedication and love for the children they teach and their desire for them to do well in school. But good intentions do not always lead to the desired outcome: research in Flanders shows that children who are prohibited to speak their mother tongue in school because it is believed they will learn the school language better, actually perform worse in reading than children who are allowed to use their home languages. The kids also feel less at home at school and have lower self-esteem. This is a topic that doesn’t get the attention it deserves, but the pain is real when parents are not allowed to say goodbye in their own language to their 5 year-olds when they drop them off at school. When they are forced to shift to a language they may or may not speak well, but which is not the language that is close to their heart. The pain is real when parents are wondering whether or not to teach their language to their children when they know or fear that their children will experience exclusion and discrimination. And the numbers don’t lie: there is real disadvantage. 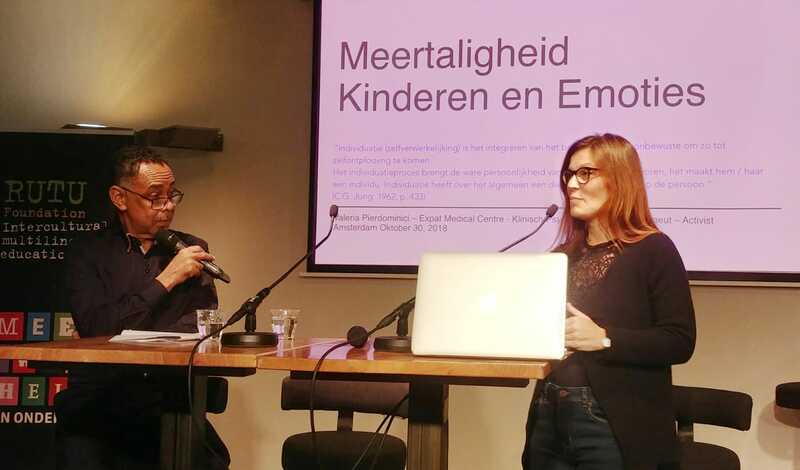 Mulitilingual children with a migrant background but also white Dutch dialect speakers are consistently undervalued by their teachers and frequently are advised into lower school levels than their standardized testing indicate. Among the participants was a dedicated teacher with over 32 years of experience. She teaches at a primary school where the majority of children have multilingual backgrounds. 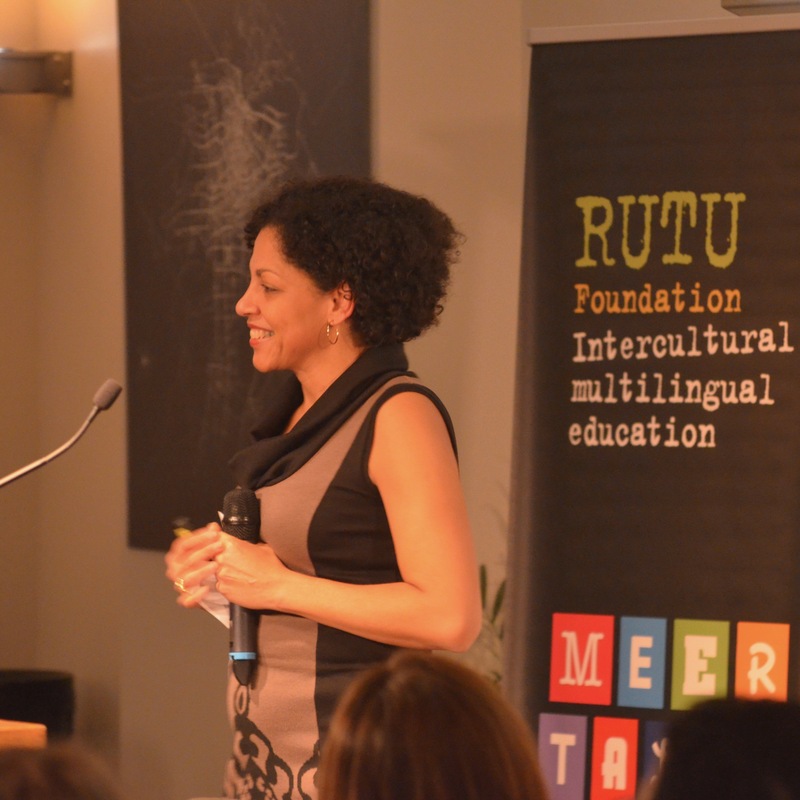 She recognized what was said and admitted that teachers really do not know very much about the friendlier approach to multilingualism that the Rutu Foundation is advocating. An approach which offers possibilities with more positive outcomes for children and their futures. 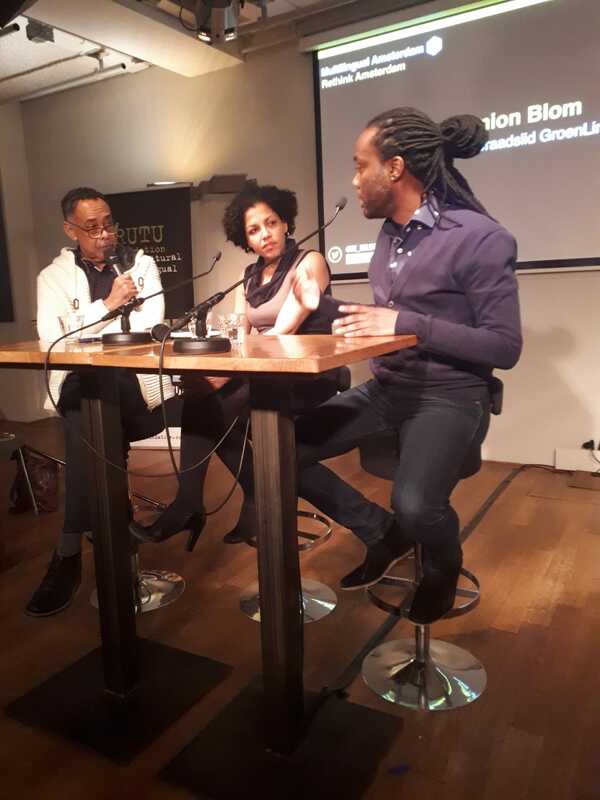 Fortunately, it seems the winds are changing and Simion Blom, member of the Amsterdam city council for the Green Left party, expressed his support for providing incentives for schools to create language friendly learning environments. The idea was picked up by a principal of a school in Amsterdam who said he would like to explore the path that was laid out this evening. The event certainly points to the need to share more of our stories as parents and multilinguals, but also to learn more about promising practices that allow all children with all of their languages to thrive at school. The next event is on 10 January 2019. Save the date!